Home > The Quilting Snow Ladies > 302 Snowed In, Loving It! 302 Snowed In, Loving It! 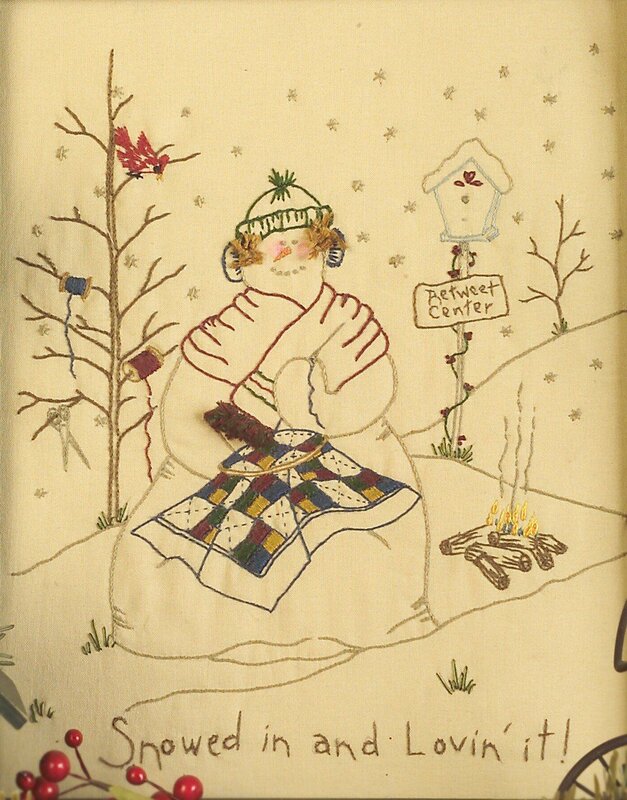 A little snow lady sitting by the fire hand stitching on her quilt. The snow is piling up around here, but she don't care because she is snowed in and she loves it!